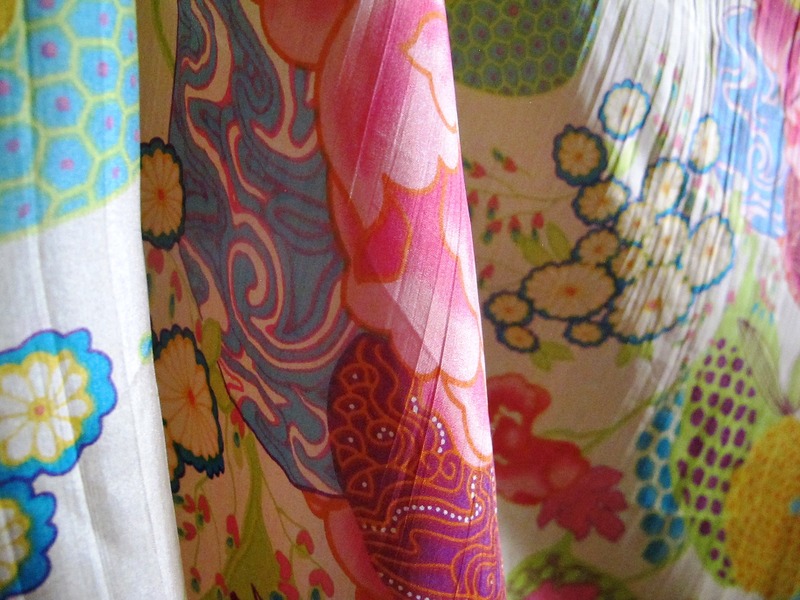 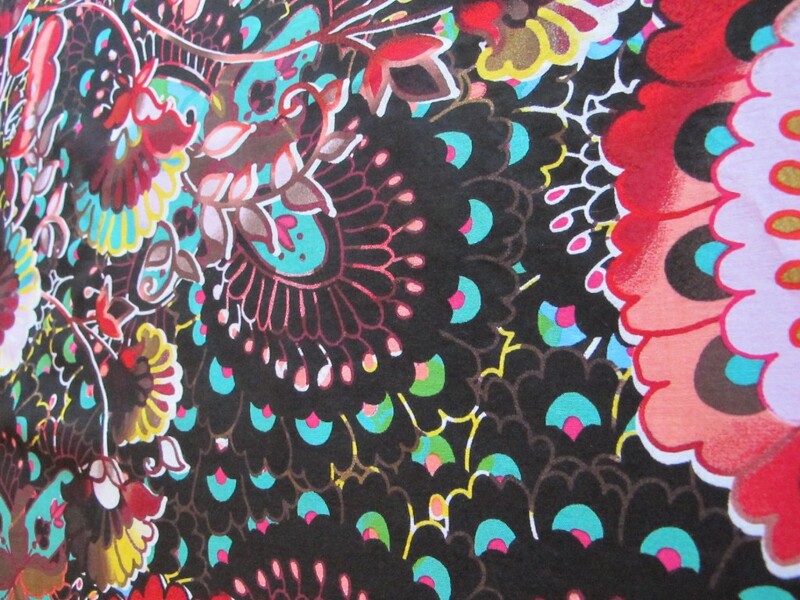 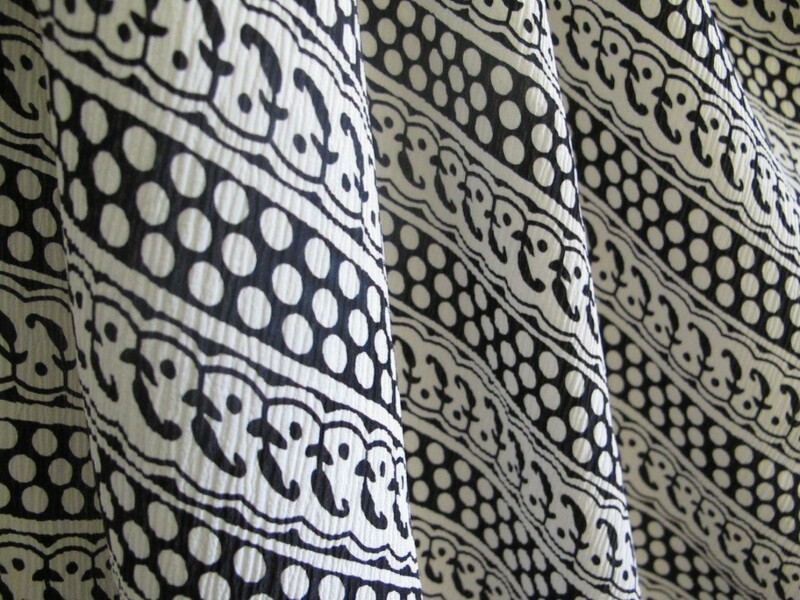 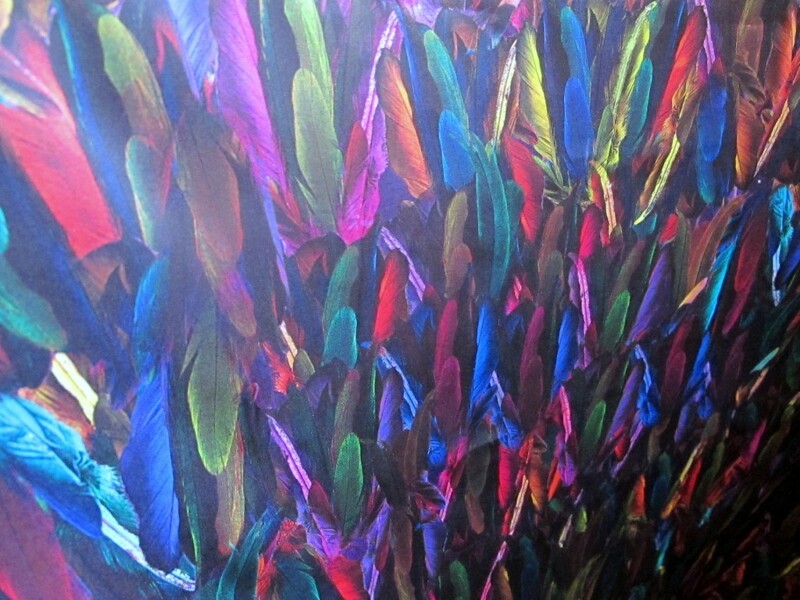 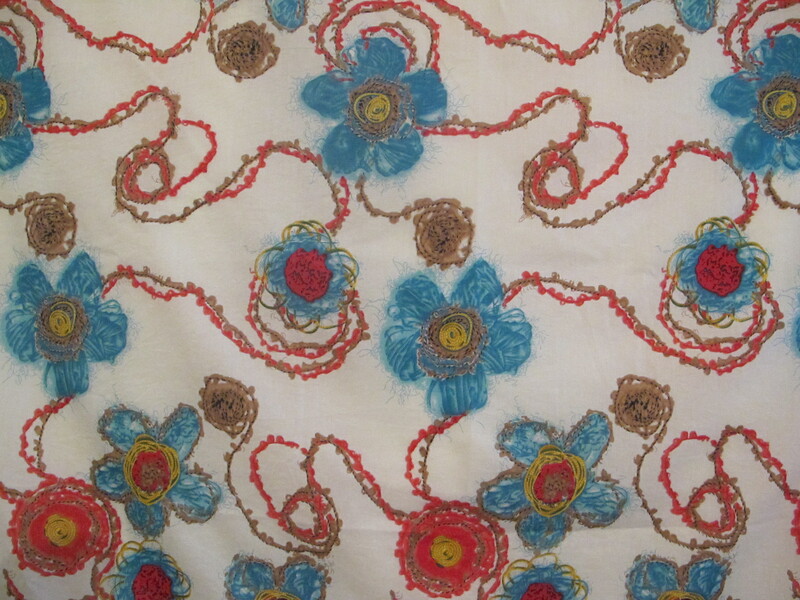 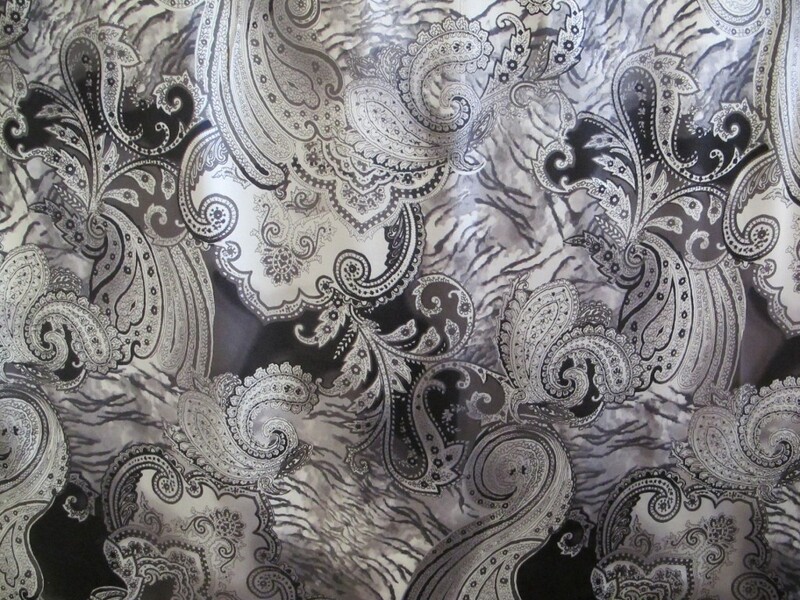 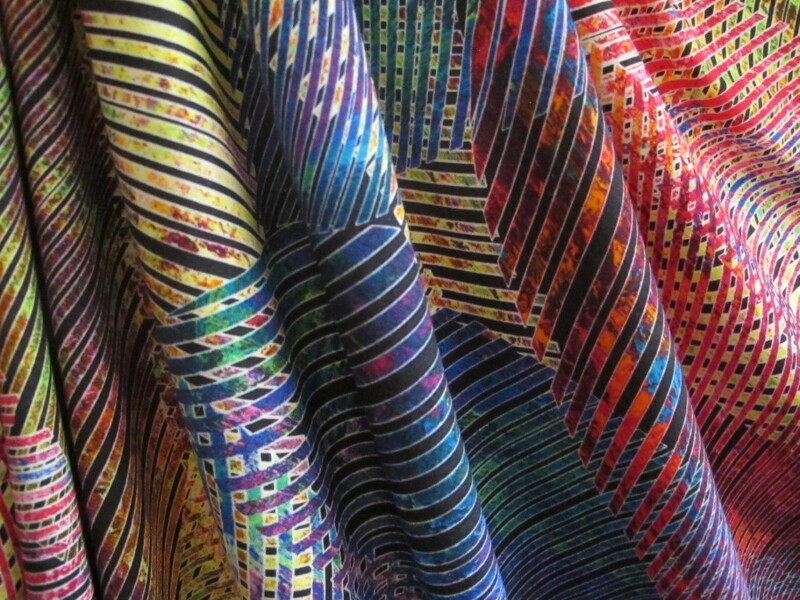 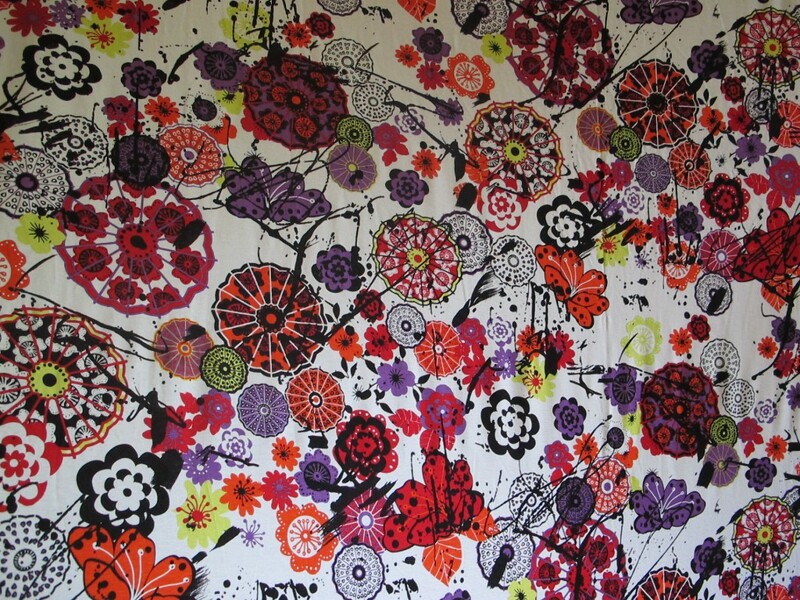 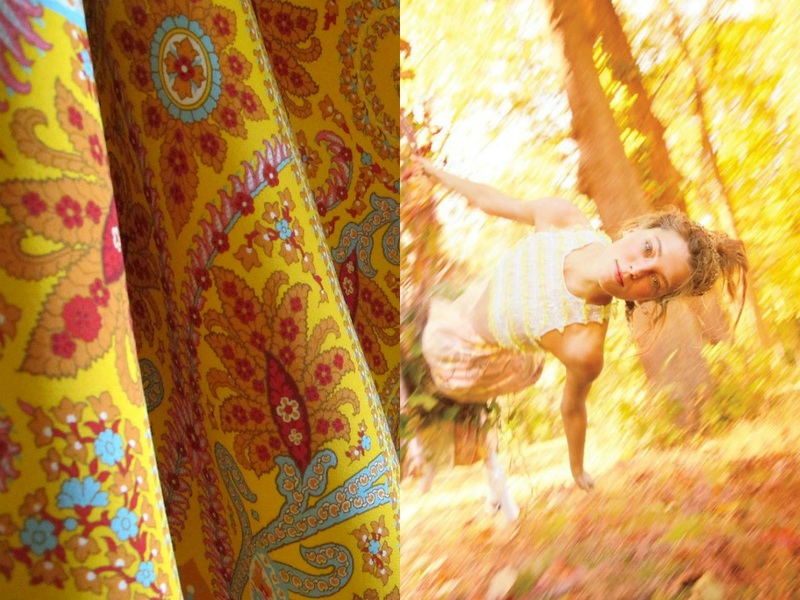 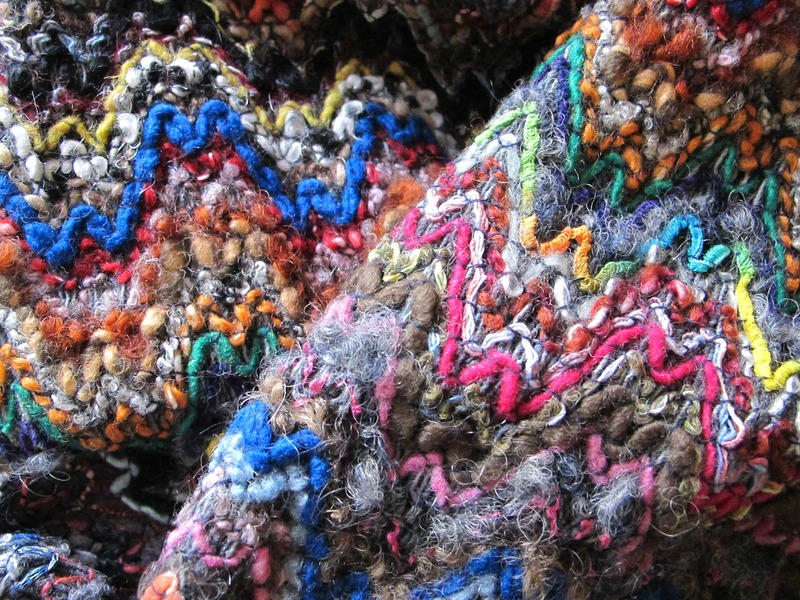 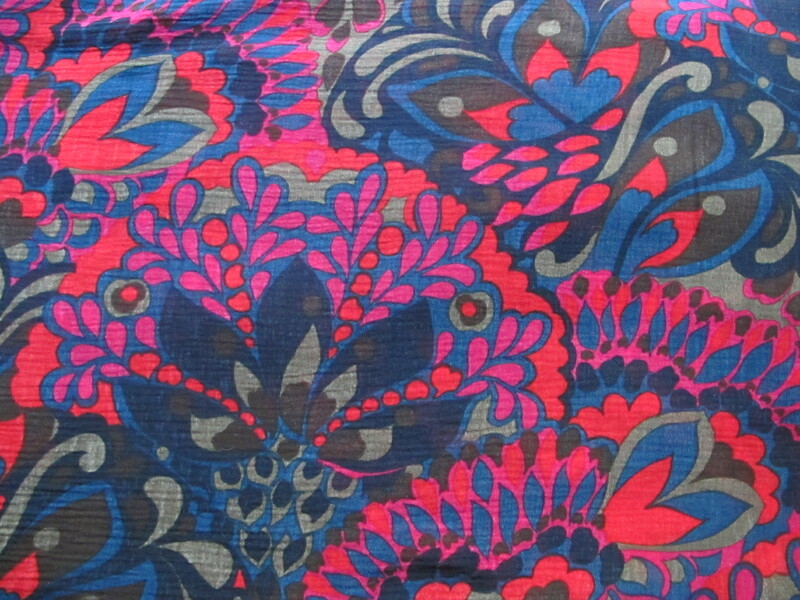 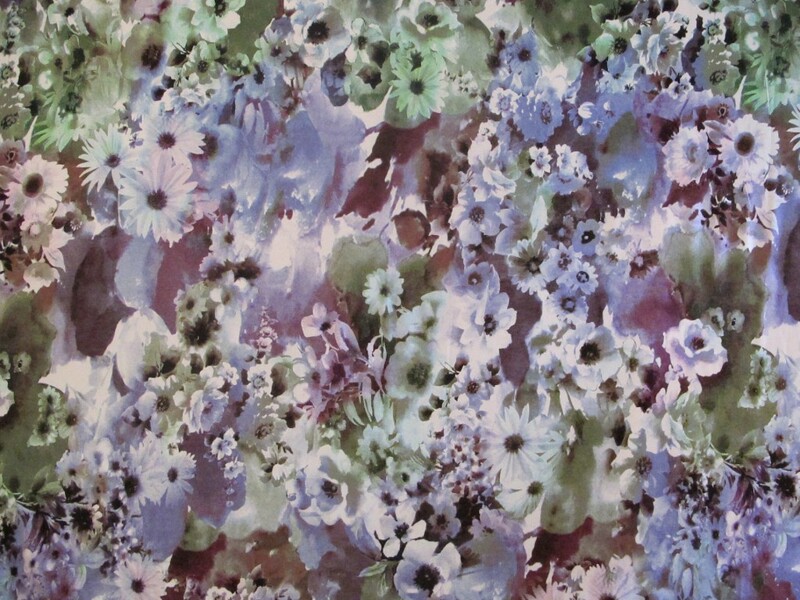 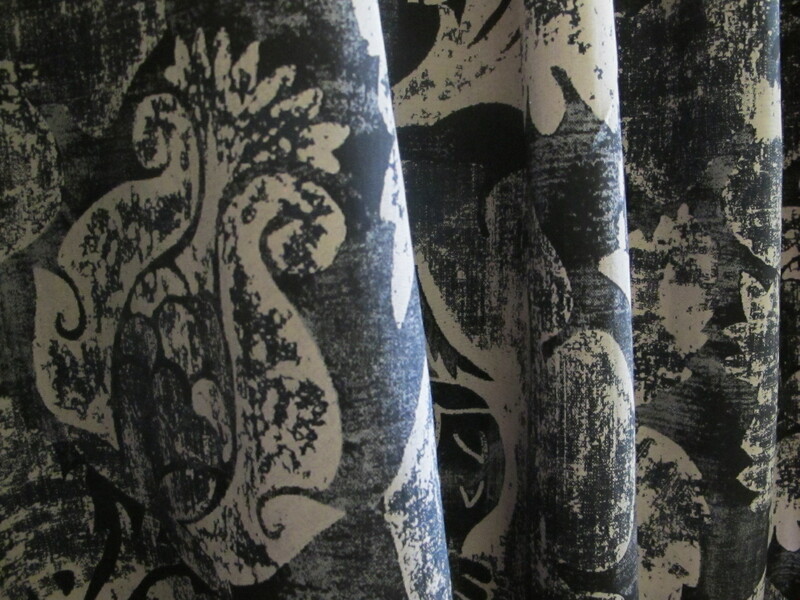 This fabric absolutely captivates me… it is charm and whimsy personified. 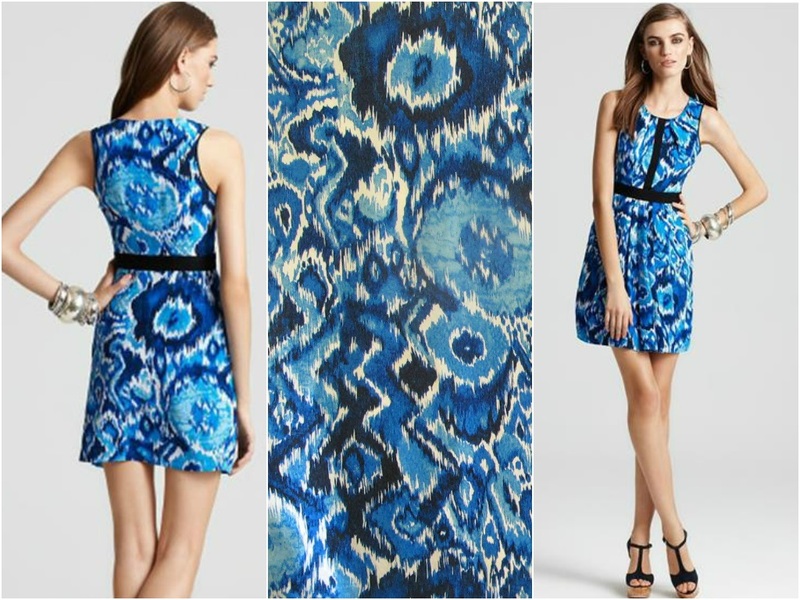 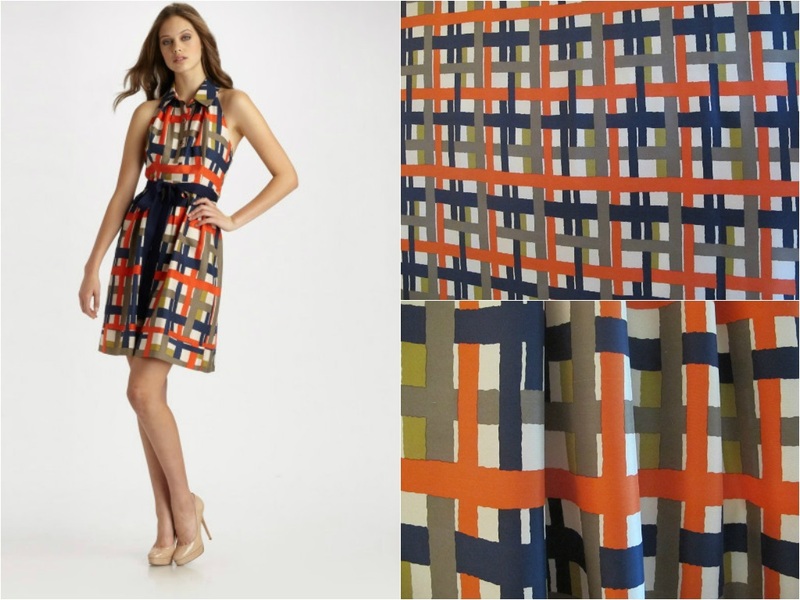 I wonder if this print was inspired by the frieze on architectural masterpiece? 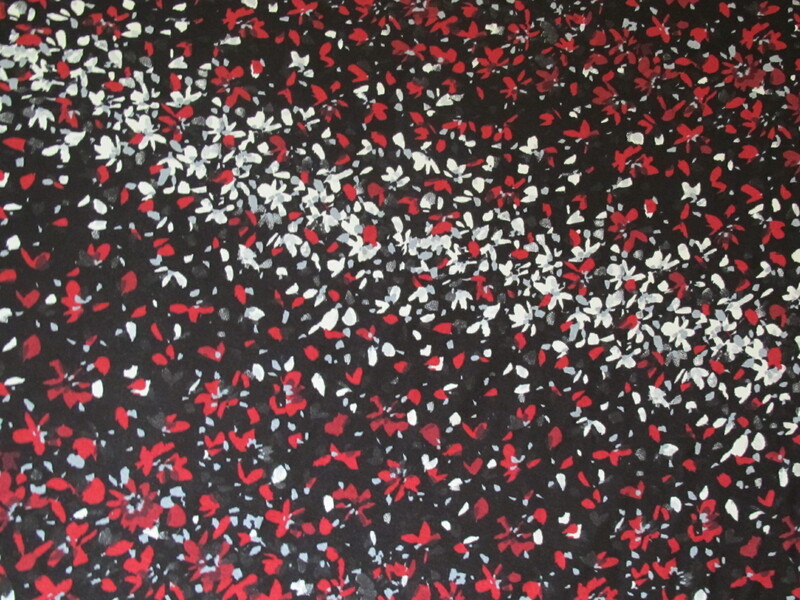 It just seems to have that sort of composition…. 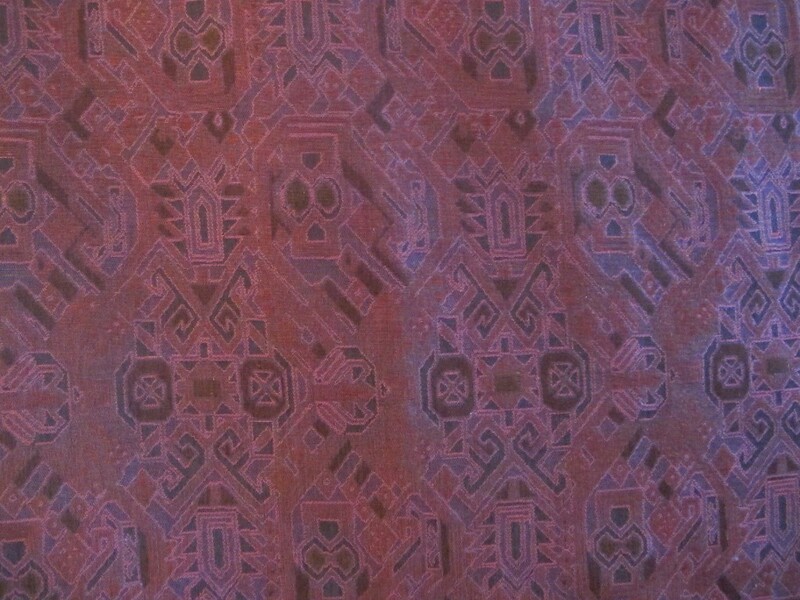 In fact, the patterning strikes me as a mix of many influences, from kilim to other tribal, all assembled in a very modern mix, but my knowledge of patterns is not extensive enough to pinpoint all the influences. 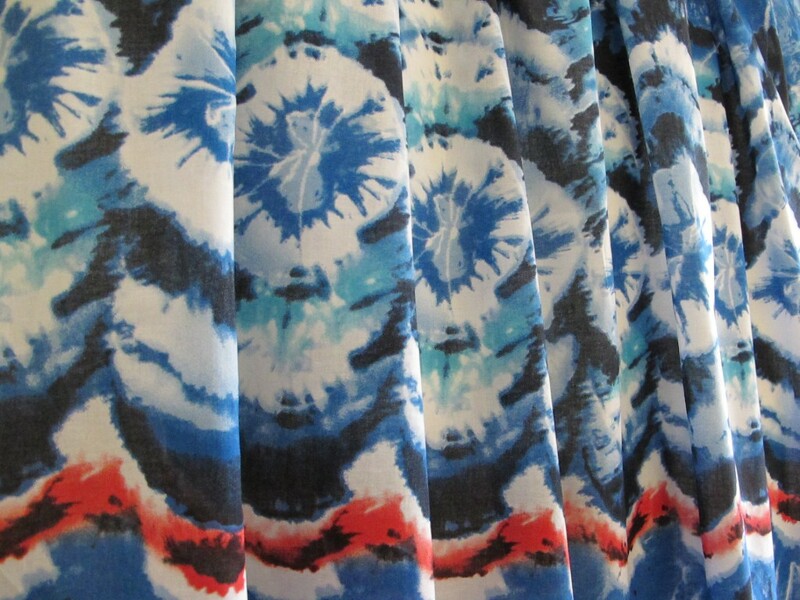 Well, this is a perfect warm weather print, with lovely sea blues washing against whites, deep blues and reds in a perfect tie-dye sort of mash up. 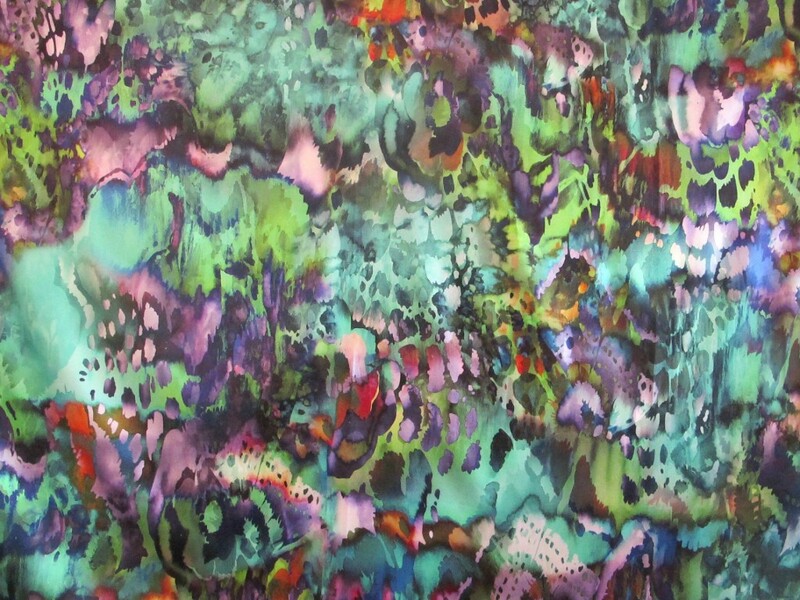 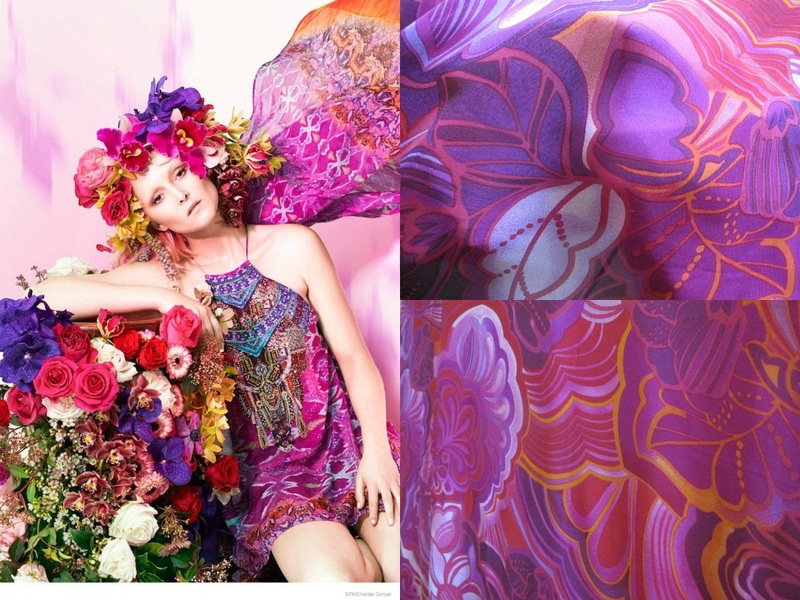 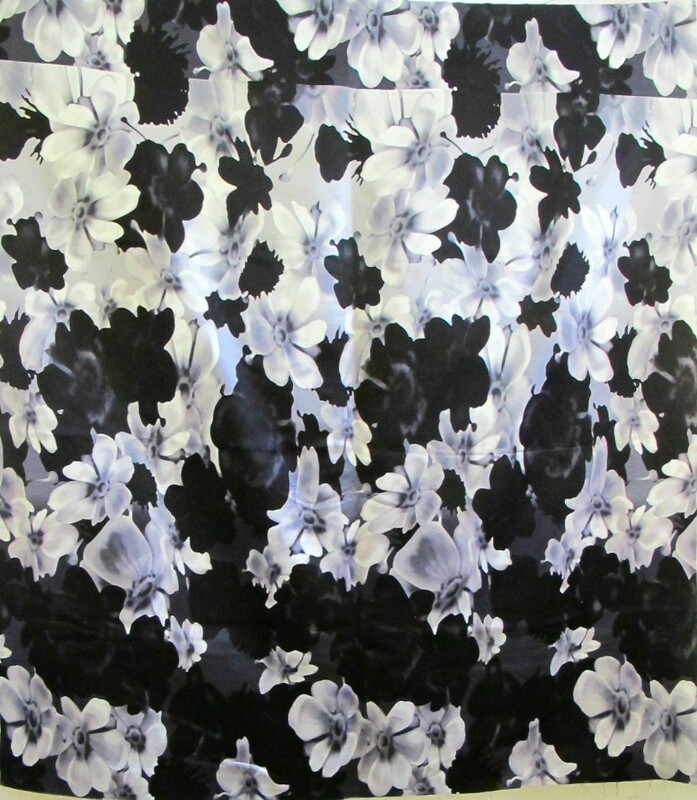 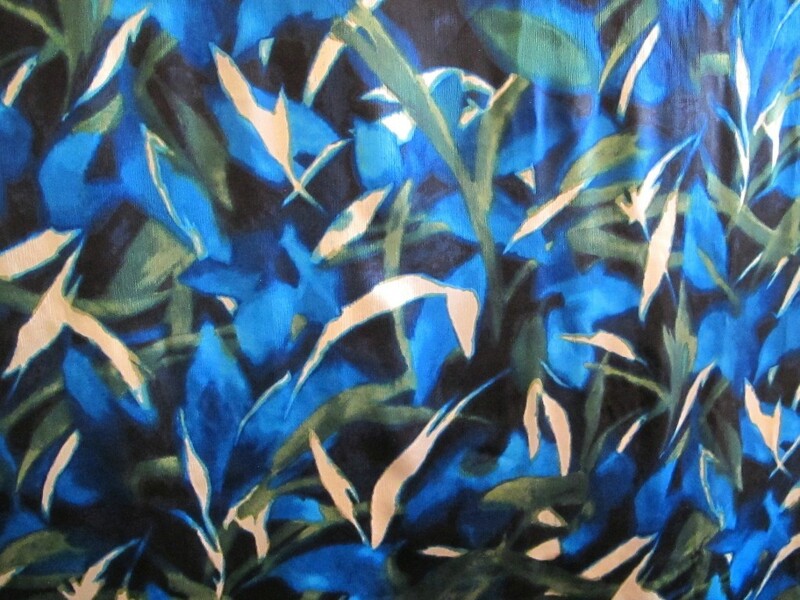 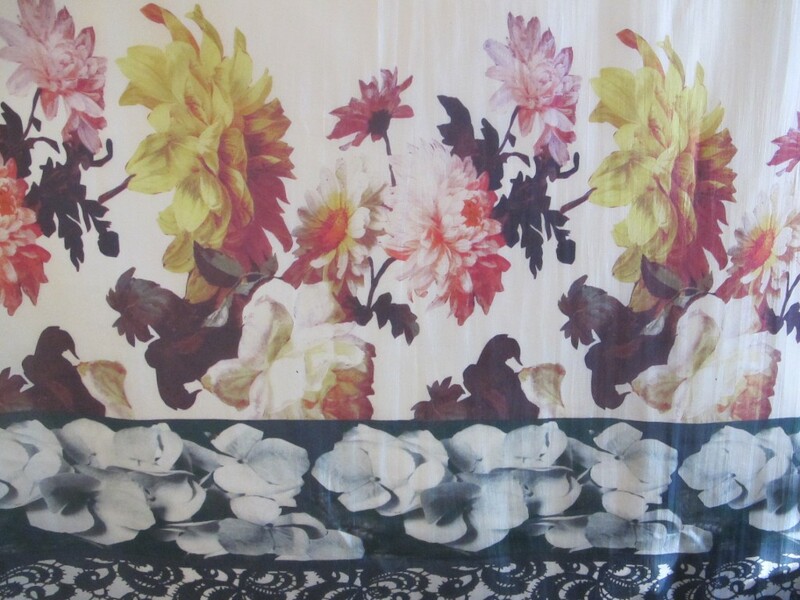 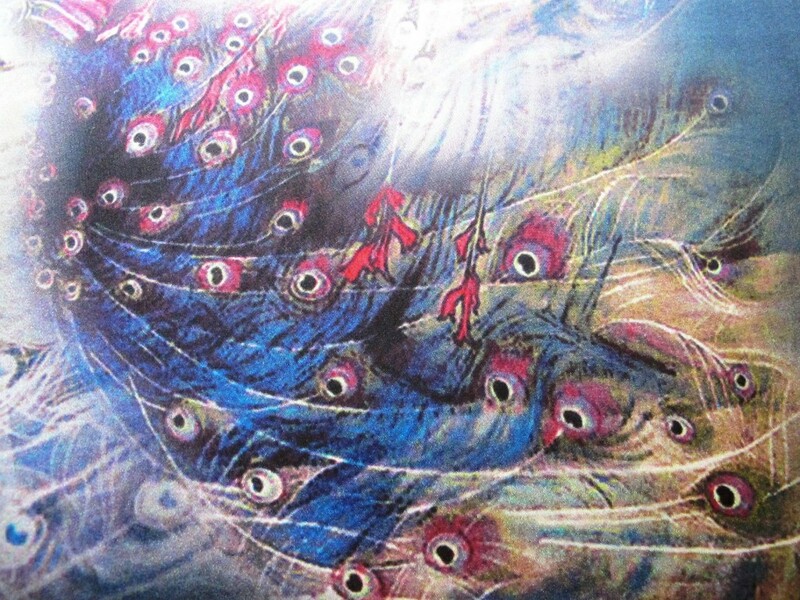 This gorgeous piece of silk is perfect for dressing up or down. 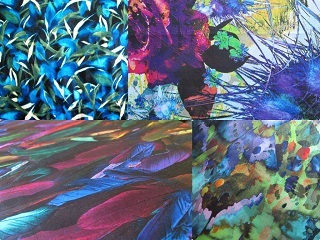 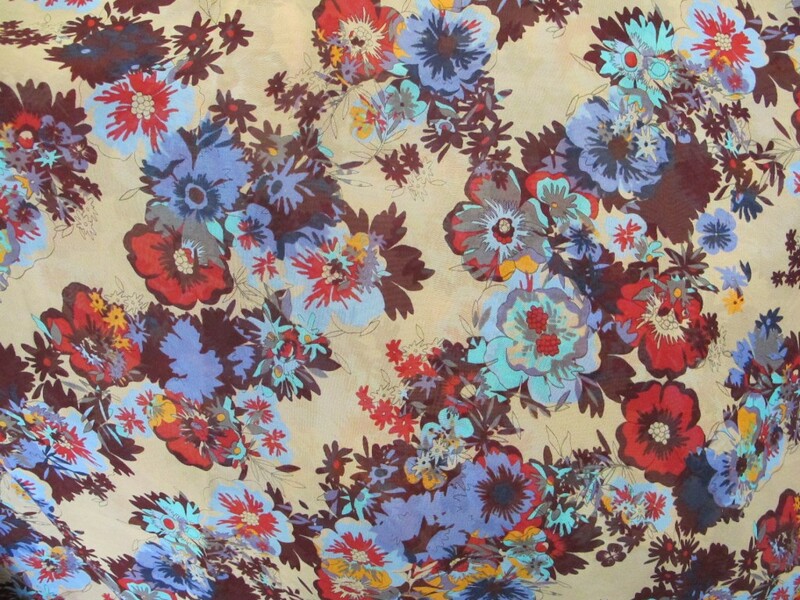 Featuring a palette of autumn blooms in colours from auburn to cinnamon on a deep roast background, this will work for any number of dress designs, or tops and skirts…see the collage below. 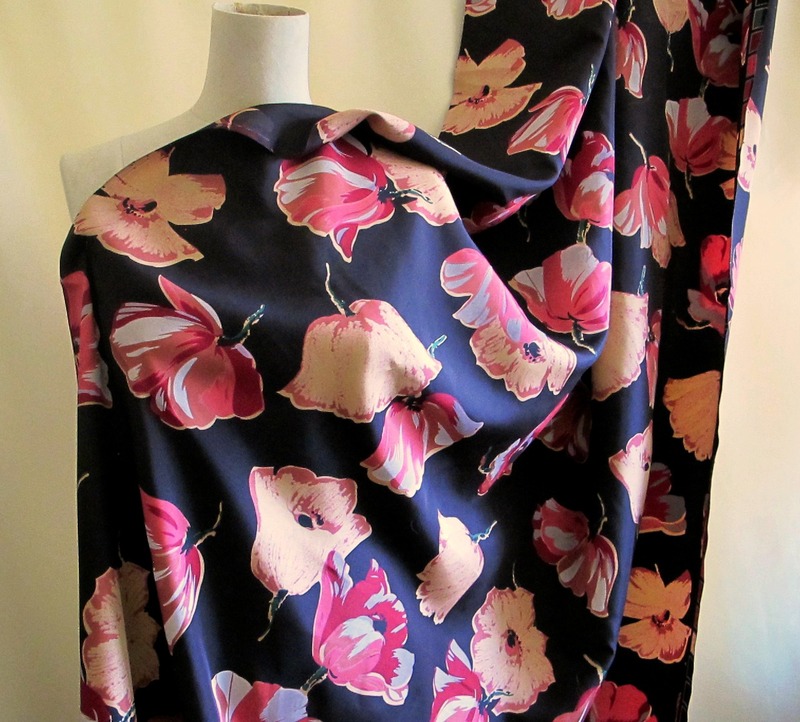 I really hope this silk appeals to someone as much as I have loved this. 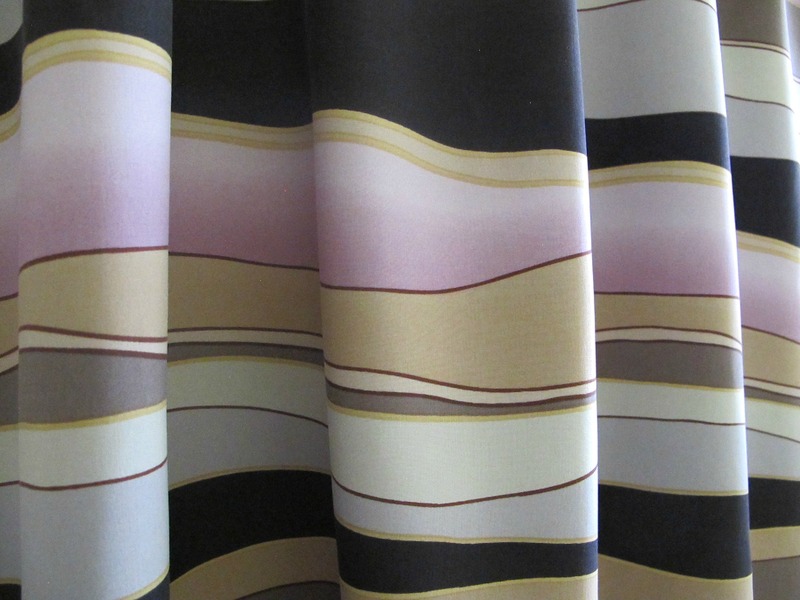 For a start, it is one of my favourite colour combinations, brown and pink. 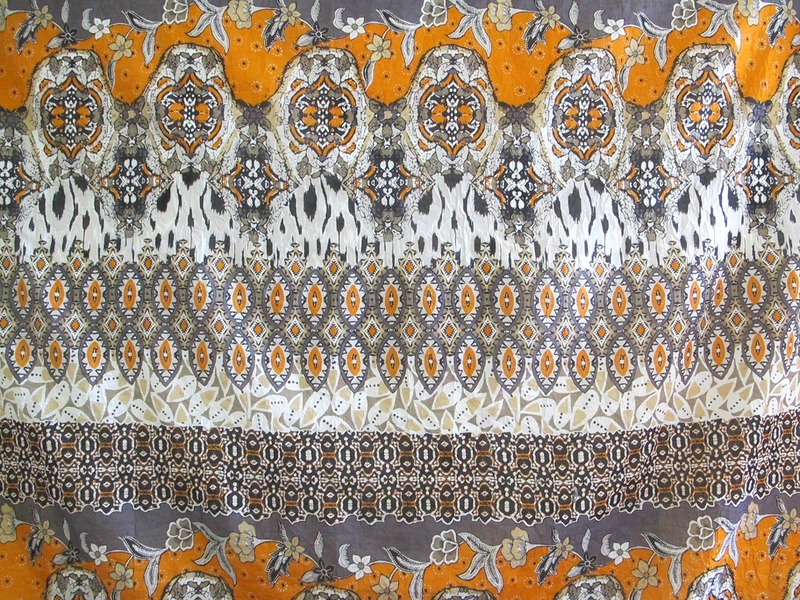 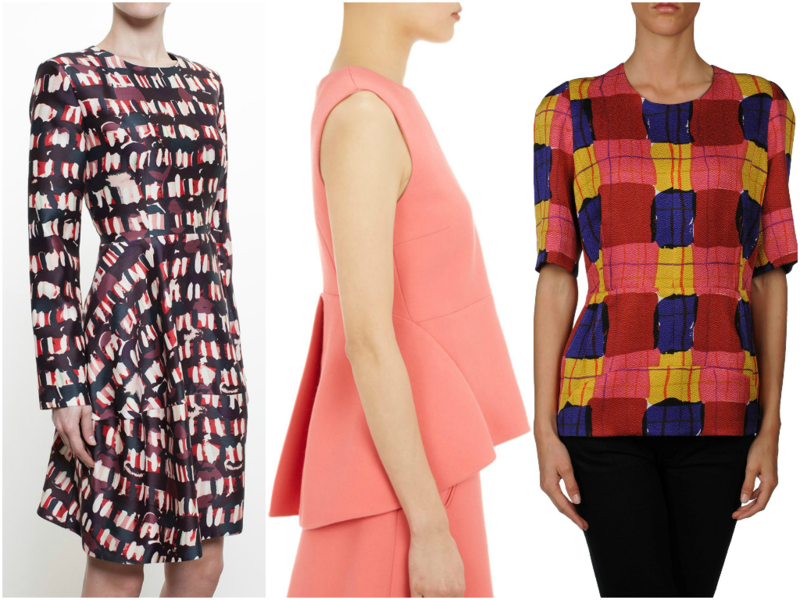 Second, I just adore the graphics and the large scale of the print pattern. 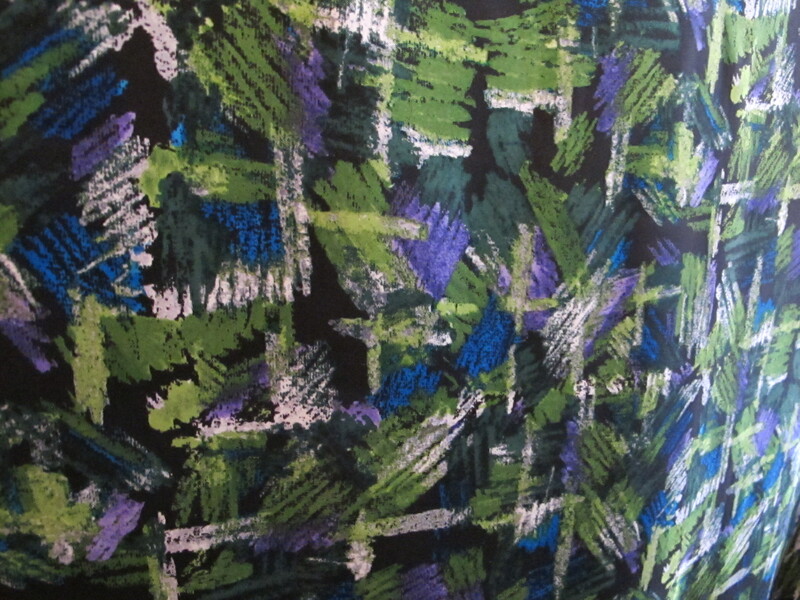 I have declared my devotion to the designer Marni elsewhere in these pages. 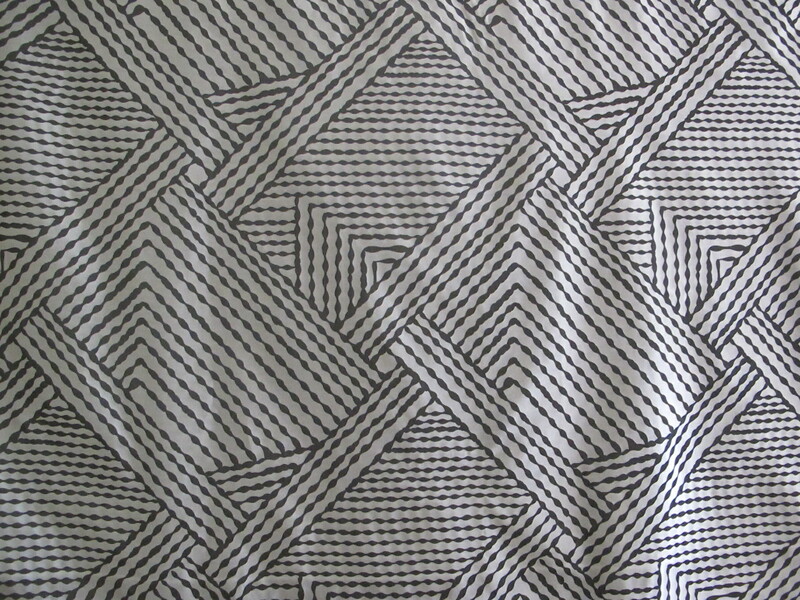 Consuleo Castiglioni is the best in the business for cutting large scale patterns without looking like Marimekko wall art and volume without looking like the proverbial tent. 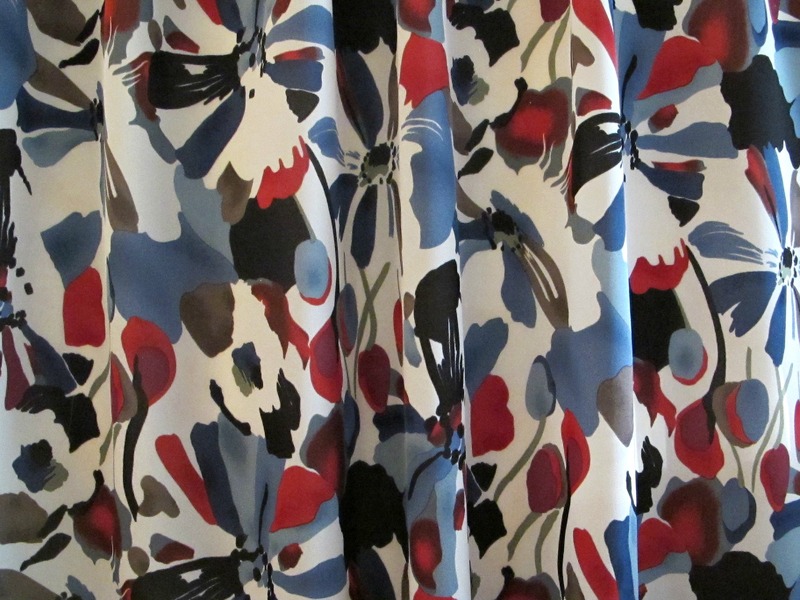 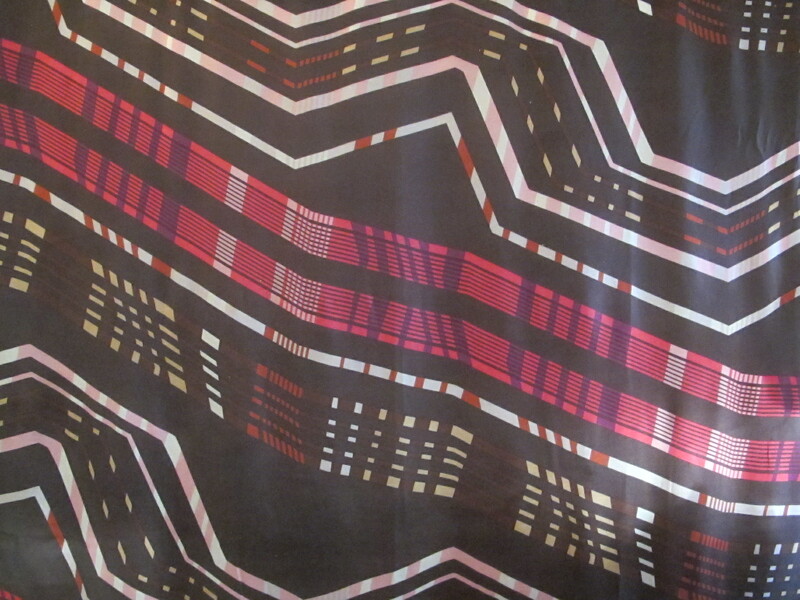 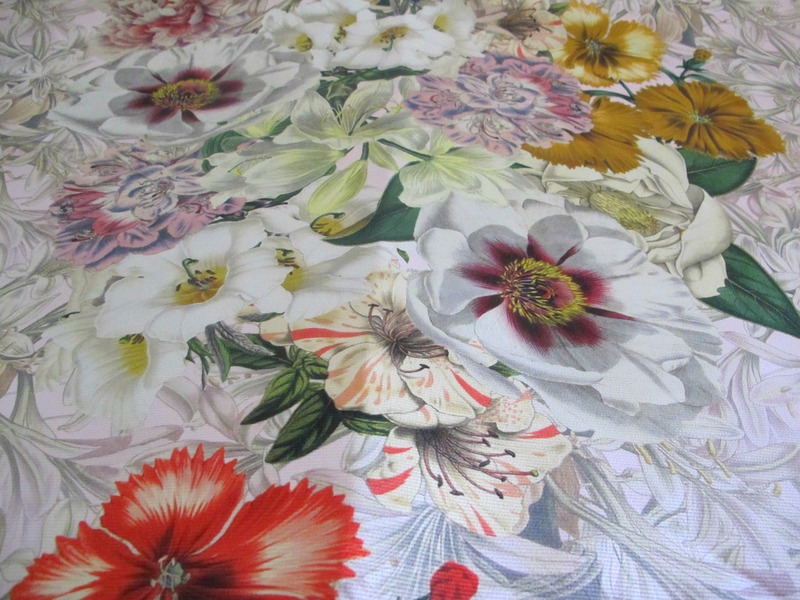 This fabric came from one of my favourite fabric stores in the NYC garment district. 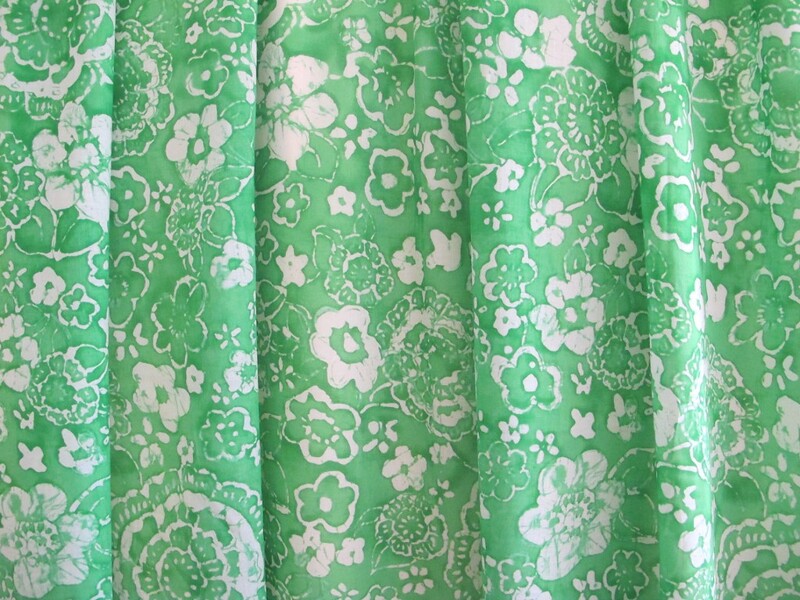 It was a small bolt propped up against a far wall and my eye was drawn to it time and again as I was walking around what was an entire second floor of a building in the district packed with fabrics. 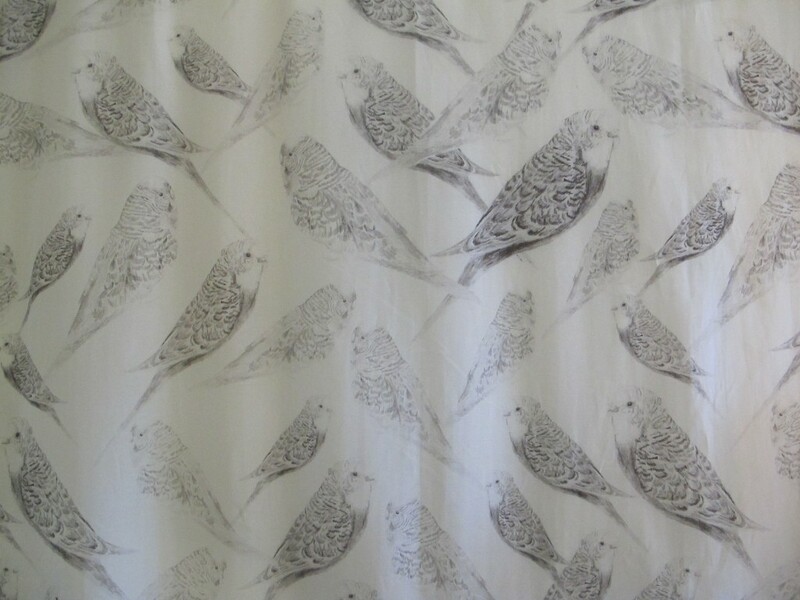 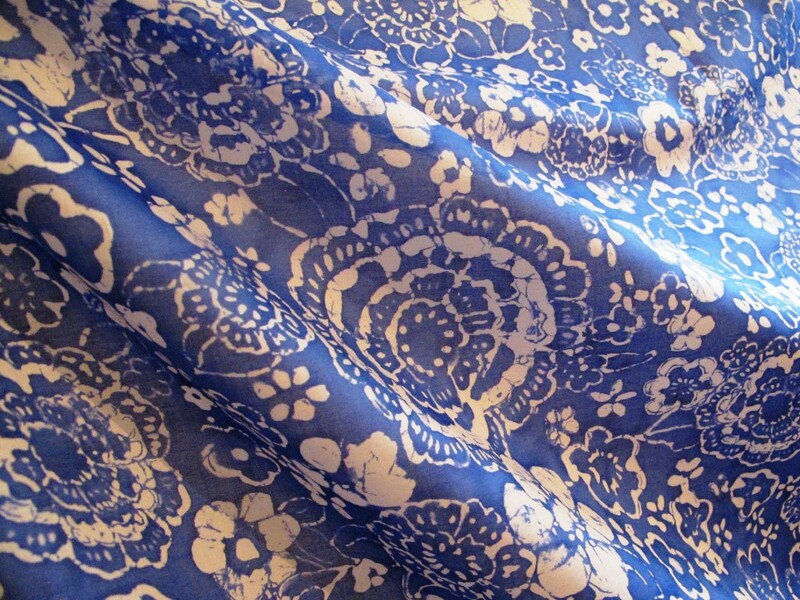 I previously listed the blue/white colourway of this lovely cotton voile. 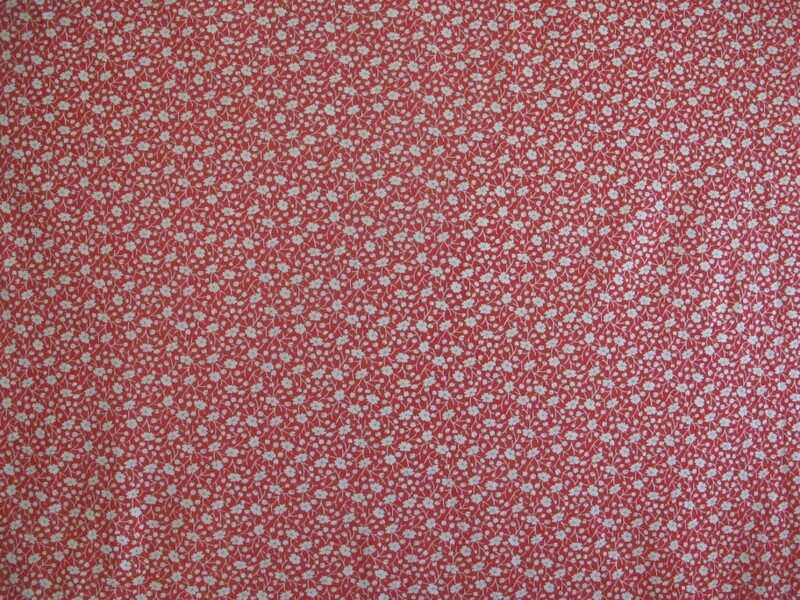 It was very popular and I’m sorry I had only one piece of fabric to offer. 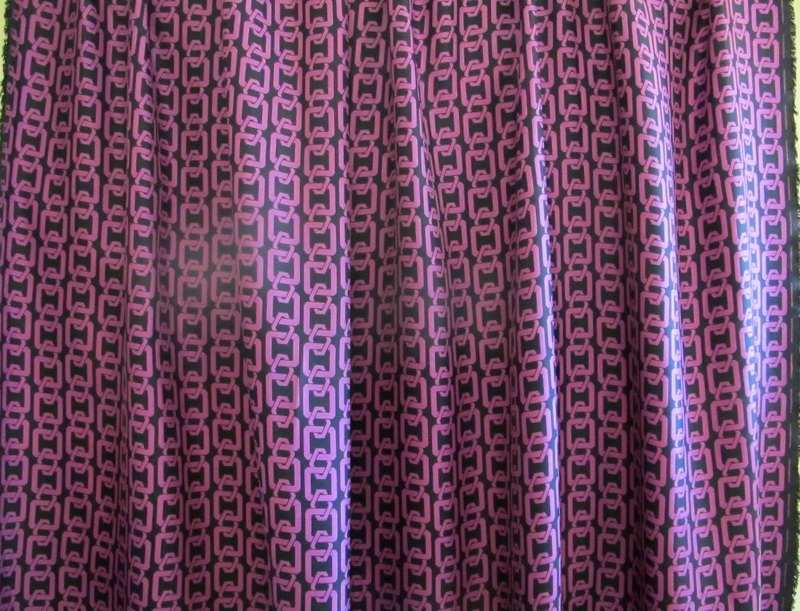 I had kept the green version back, but I’m not going to be getting to any sewing soon so I decided to put this one up too. 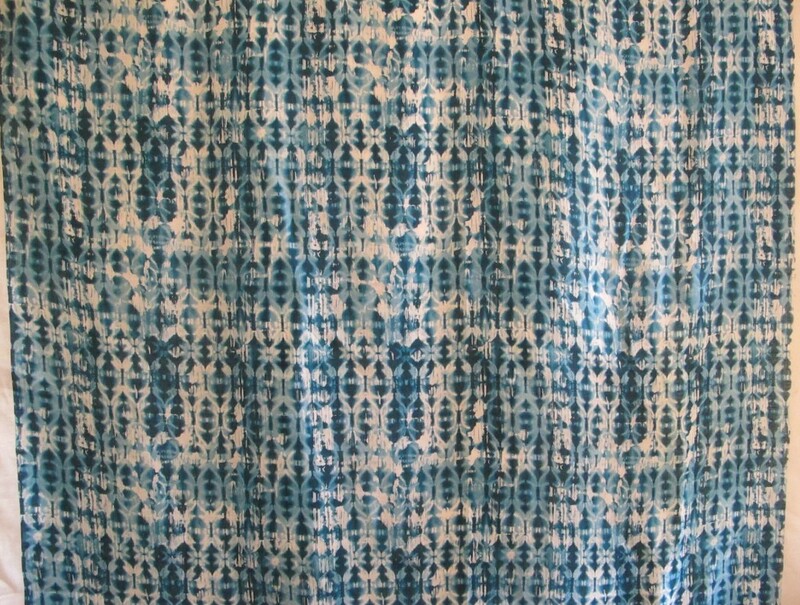 Here’s another eye-catching Milly fabric and another plaid. 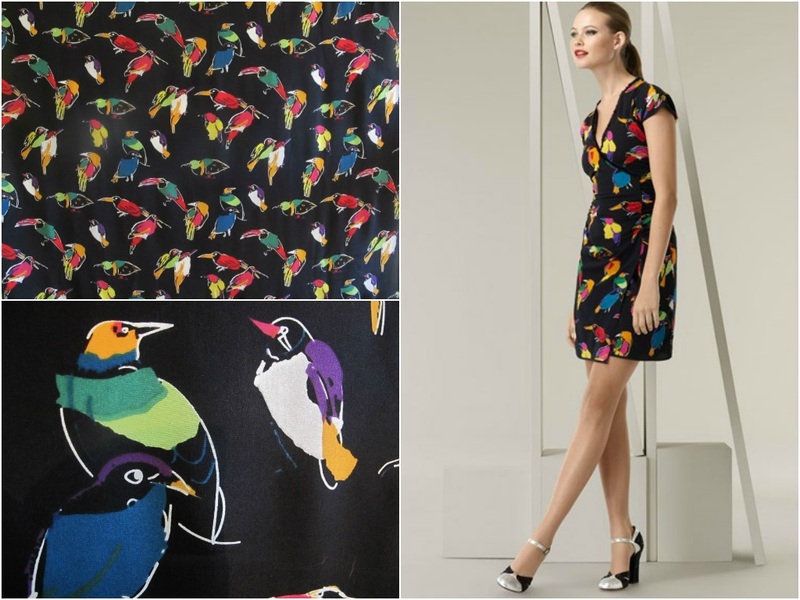 Both the original dresses made by Milly and the remaindered fabric were both very popular. 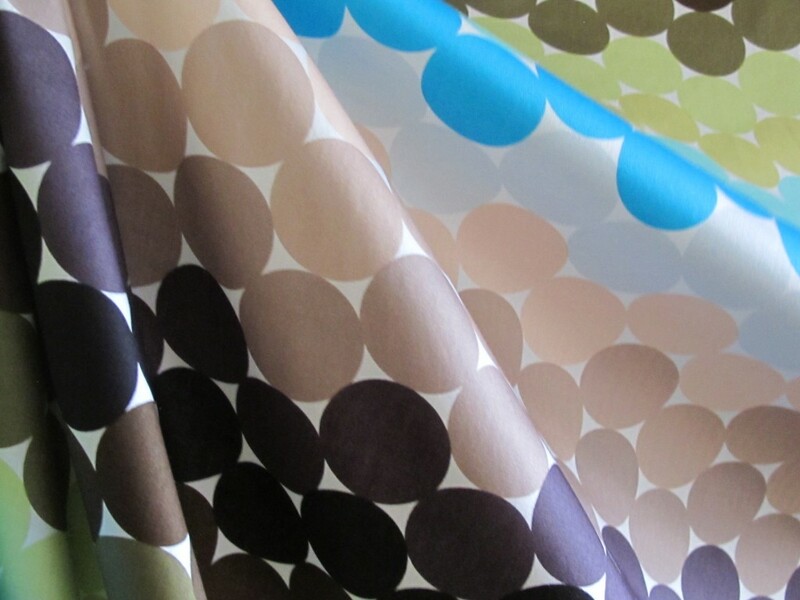 You know some fabrics come along and you just want to pet them all the time? 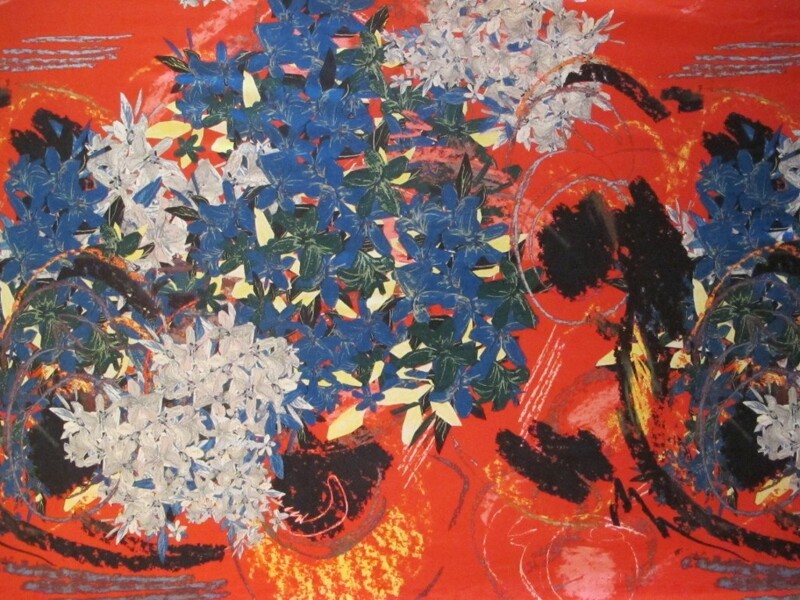 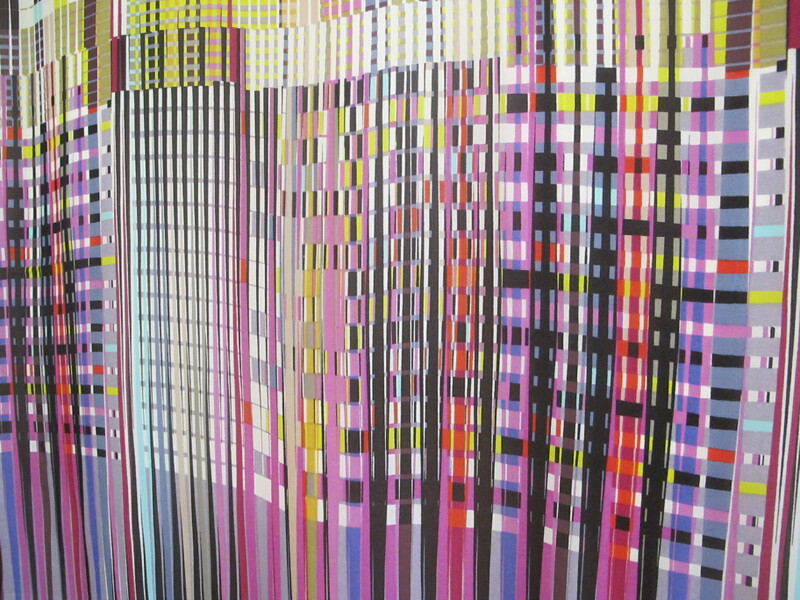 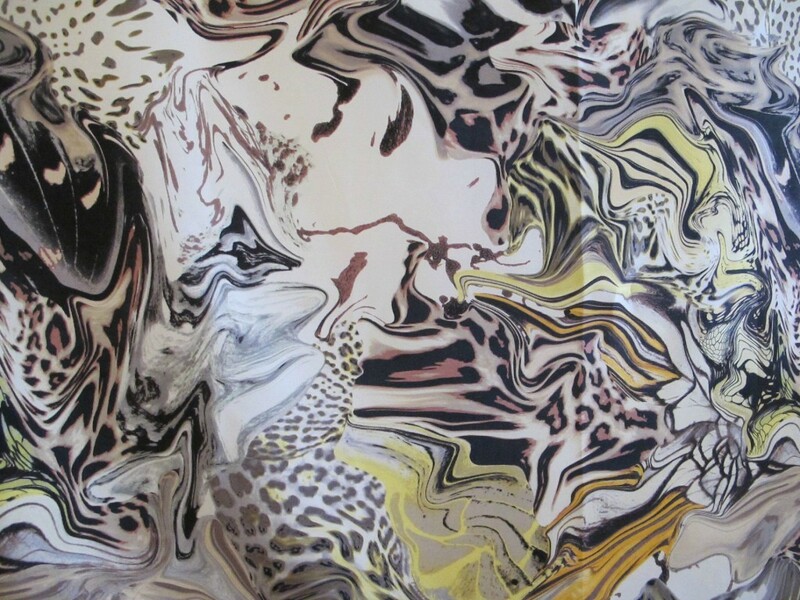 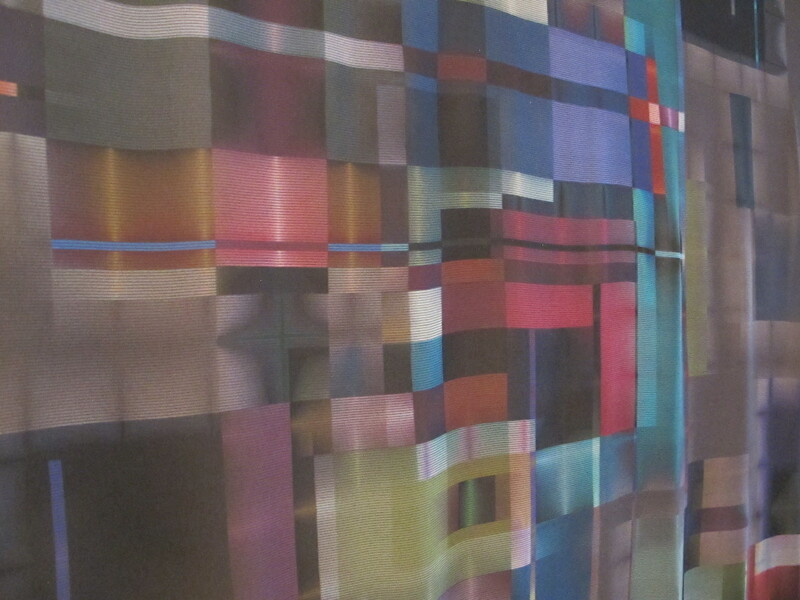 This wonderful Anne K1ein silk is one of them. 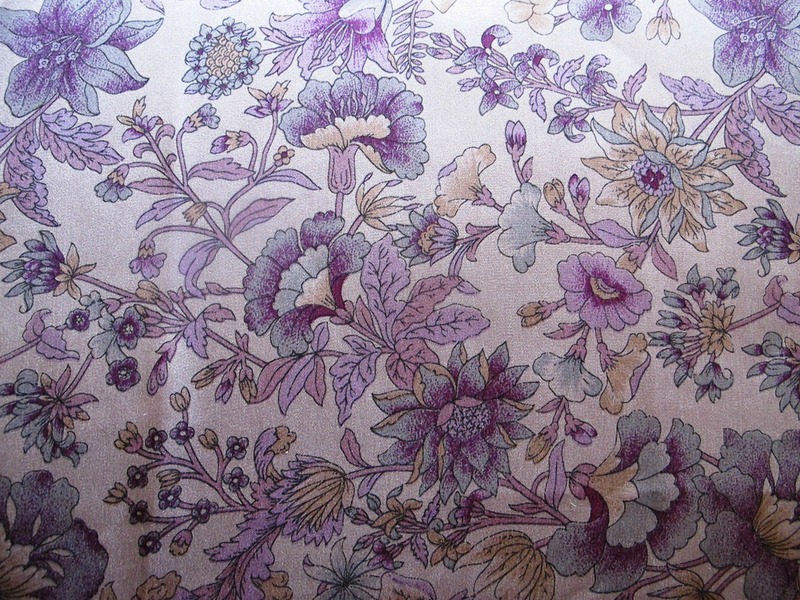 So whimsical this design; charming detail, intricate bouquets, but beautifully subtle. 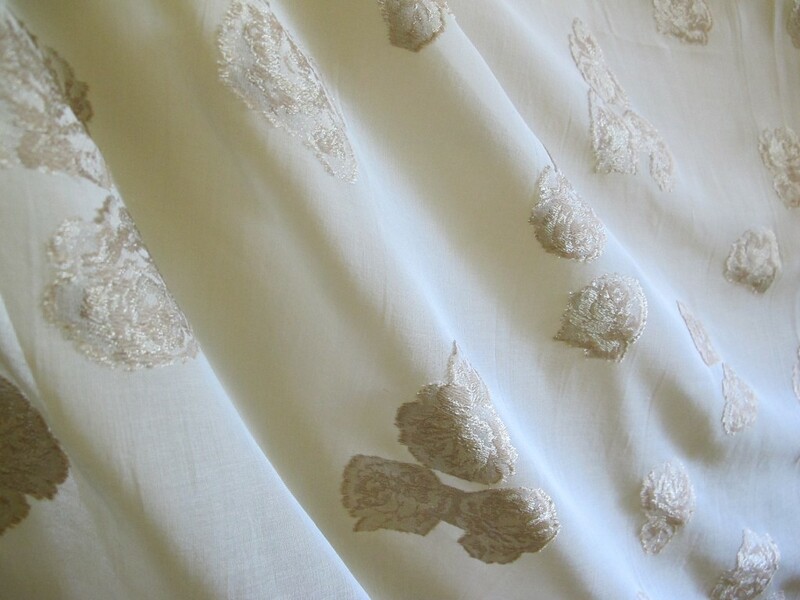 This is a lovely, classic silk with just a bit of difference in the pattern and the silk quality…a lovely crinkle silk that gives the fabric that little bit of wearing ease. 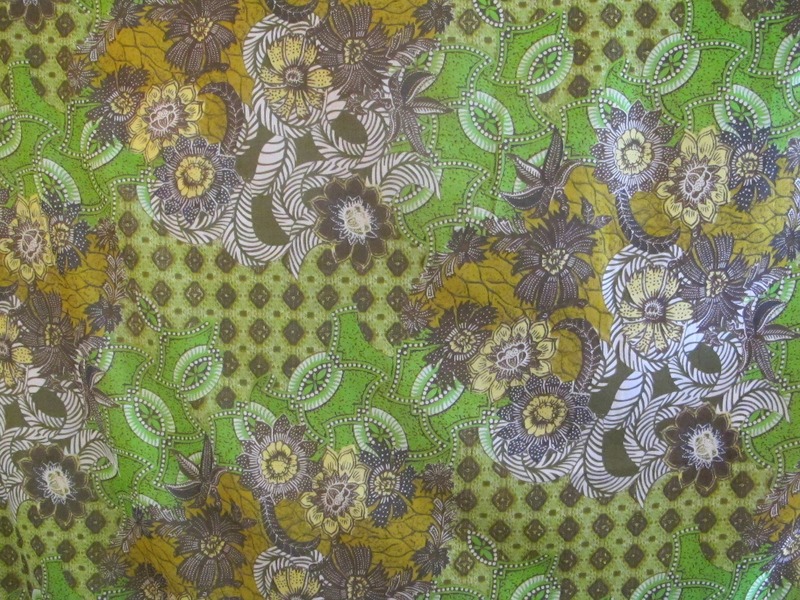 Here is the first of a few more dressy fabrics I’ll be putting up. 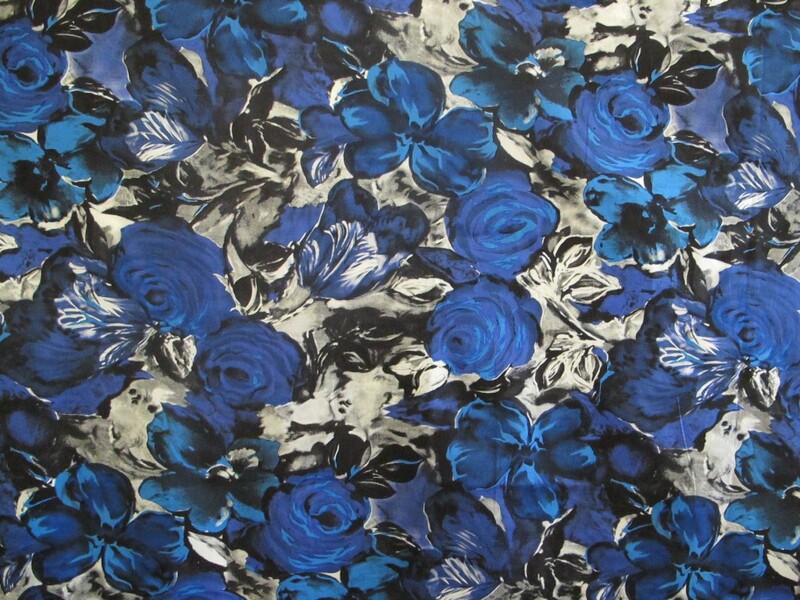 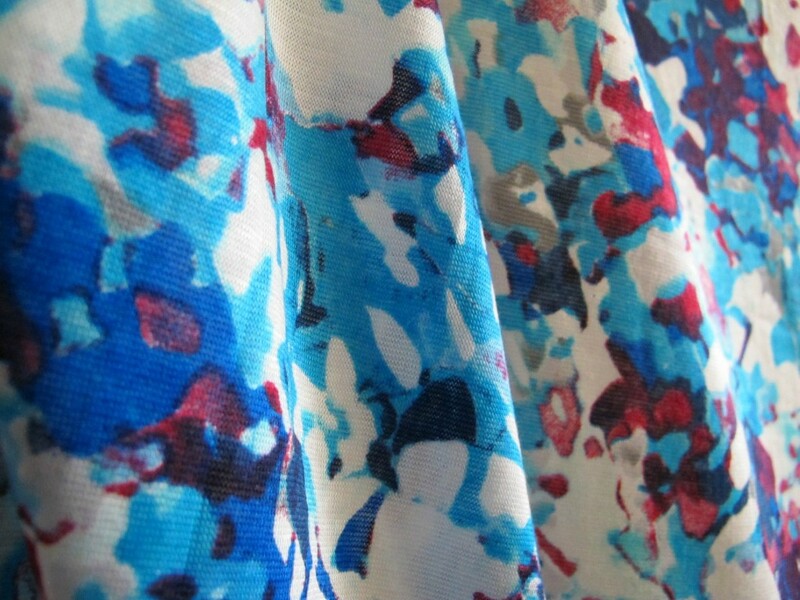 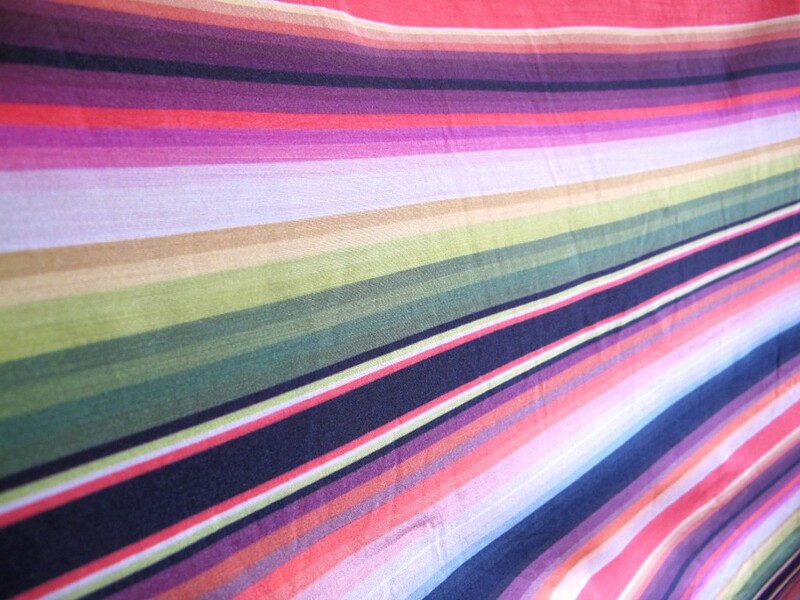 This is a perfect fabric for an easy-going dress, skirt or top for summer. 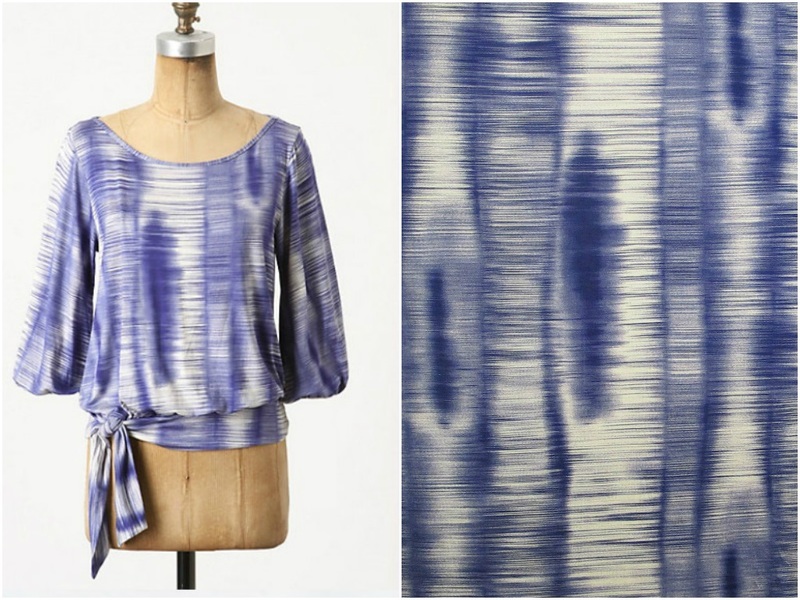 I saw a photo in a magazine of the striped top worn by Giovanna Battaglia, included in the collage at the bottom of the page, and went in search of some striped silk so that I could produce a top like this. 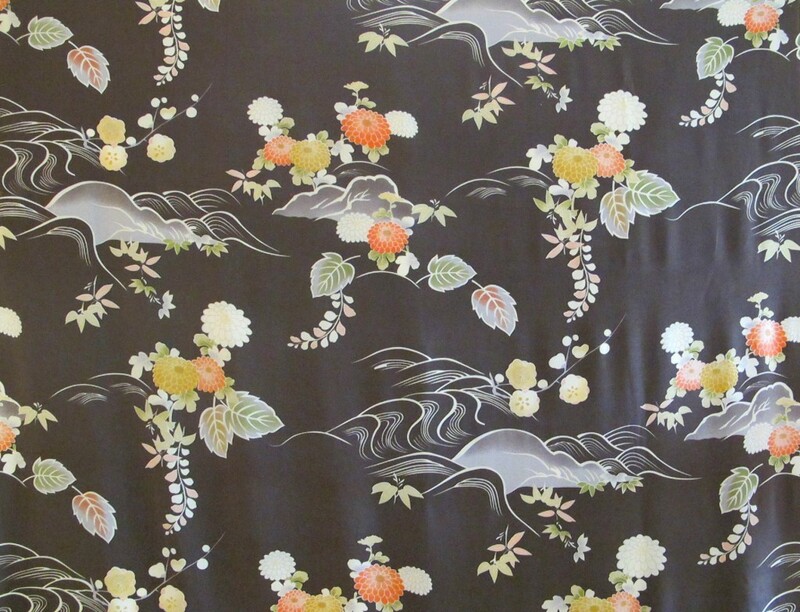 The starting point for the graphics in this beautiful silk are Japanese kimono motifs, like the many Mums (chrysanthemums), though the references are not especially literal and the imagery is completely modern.